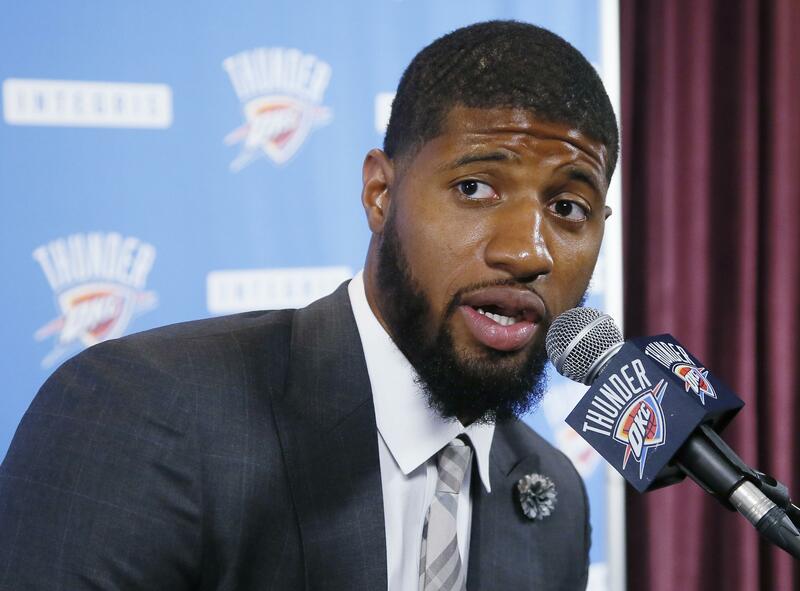 Sun., Aug. 20, 2017, 10:10 p.m.
NEW YORK (AP) – The NBA is investigating whether the Los Angeles Lakers tampered with All-Star forward Paul George while he was under contract with the Indiana Pacers. George is a four-time All-Star and Los Angeles native who was traded to the Oklahoma City Thunder earlier this offseason. The Pacers traded him after George told them he planned to leave Indiana as a free agent next summer. If the Lakers are found to have tampered, the NBA could issue any combination of fines, forfeiture of draft picks or suspensions of those who were deemed to be involved. Tampering, the league has said, can be either direct or indirect – and an interview that Lakers President Magic Johnson did earlier this year on ABC’s “Jimmy Kimmel Live” did little to quell speculation about George’s potential future in Los Angeles. He’s coming off a season in which he averaged a career-best 23.7 points per game, and is joining a Thunder team that already has reigning NBA MVP Russell Westbrook. Published: Aug. 20, 2017, 10:10 p.m.